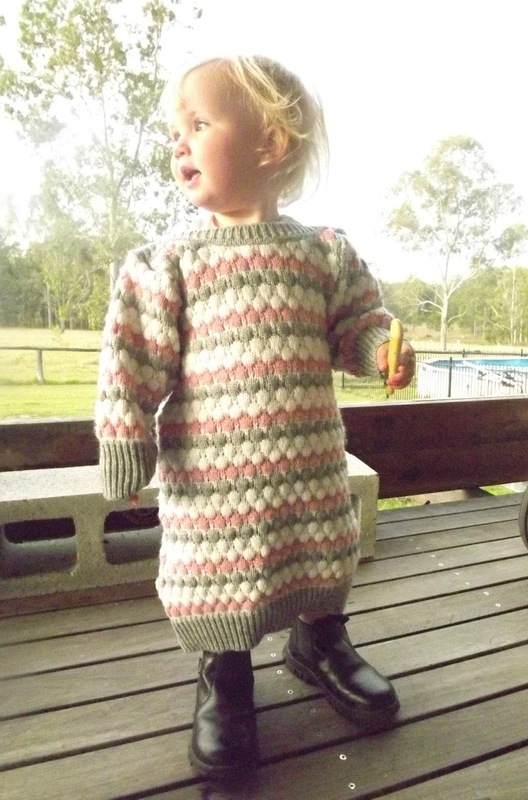 Winter dresses have been impossible to find for my little one. As Bella is only in size 1, I wasn’t expecting any trouble in finding winter dresses, but alas I have. 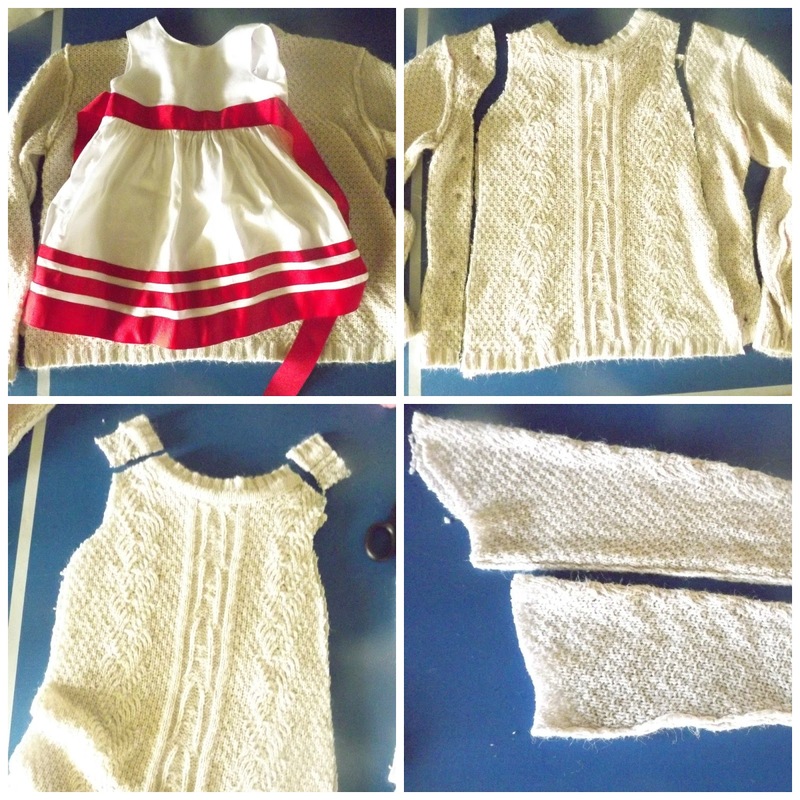 Searching online for inspiration I discovered the idea of upcylcing a jumper into a little girl’s dress, and between both tutorials I was confident to ‘give it a go’, with the result of two lovely girl’s winter dresses. Off to the op-shop Saturday morning and by Saturday evening I’d whipped up a couple of dresses for Bella to wear to Mass Sunday morning. The cream dress is needing further embellishments but for now, with a bright sash of pink around her waist, tights and boots (not the ones above, they’re big brother’s) Bella looked rather cute on Sunday morning. Jumper 1 was an adult’s, jumper 2 was an older child’s, a slight bit of different thinking and extra cutting was involved from one to the other. I’ll leave it to Make it Love it and Everyday Art to take you through step by step. Essentially though, I used another dress as a template for size, took a deep breath and cut, with the result as you can see, of a ‘dodgy’ armhole on one side fortunately the material was forgiving. With the cream jumper I cut a little off at the shoulder seams to make the neck opening tighter. 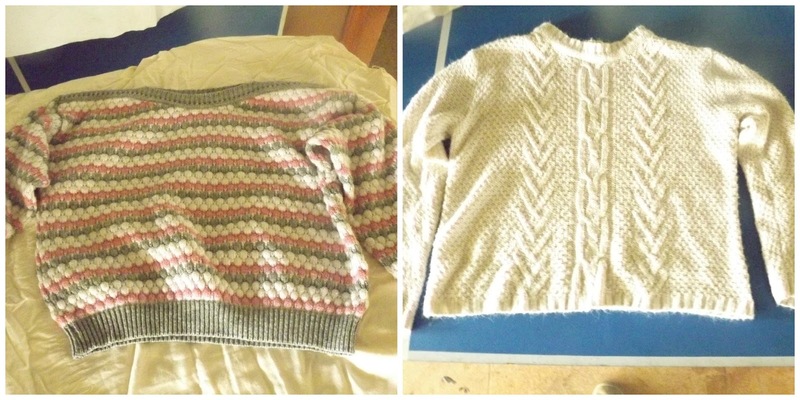 As the pink/grey jumper had a different neckline a few extra stitches was required to close the opening further. The most reassuring moment was on Sunday morning when I noticed a young girl in the pew in front of us, she was wearing a woolen jumper (with decorative buttons) exactly the same style as Bella’s just a different colour!! I admit to being distracted, I kept wondering was it purchased (likely) or had it too been upcylced from a woolen jumper? This is pure genius! And what a cutie pie! Well done Erin! You could also leave the sleeves off and wear it with a long sleeve shirt underneath.